I started off the week with a plan. You know what they say about plans, right? Tuesday morning I ran through all my morning jobs; I even washed the dishes and left early before work to get horse food. My plan was to walk Daisy a mile each night, to get her in shape for longer weekend walks. Tuesday night it snowed on me, however, and it didn’t get any better for the rest of the week. Mother Nature has an awful sense of humor. Tuesday: a relaxing day, I started with a 17 minute walk while checking out Twitter. I have been on Twitter more in the last two weeks on my treadmill than in the last two months. I followed up with 30 minutes of my weight exercises, including 5 more Burpees. They felt much easier this week. Daisy didn’t get her walk due to snow. Blah. It can stop anytime now! Wednesday: 30 minutes of free yoga. I learned the uncomfortable way that my brace really does help. My Warrior poses were not as easy as they could have been, holding the bent knee position was definitely uncomfortable. No snow, but a violent wind kept me from walking Daisy. I was a bit afraid I would have 14lb kite at the end of my leash. Thursday: my goal for the day-off. Well, that was an easy goal to accomplish! Friday: another slow mile run, followed by brisk walk cool down. My planned walk with Daisy in the evening was again beaten by Mother Nature-it was cold, wet and windy. Saturday: Daisy finally got out! We did a 2 mile in 40 minutes followed by 16 minutes of stretch-y yoga. Sunday: another walk with Daisy, this time the other way. I had planned on walking up the hill at the end of our road, but the wind picked up so we went down the hill. Which of course meant we had to come back up the hill, but at least the trees protected us from the wind. We did the slightly harder 2 miles in 40 minutes as well, which means she is getting in shape. When we got back I did my weights and Burpees again. Daisy laid on the couch watching me. Lucky dog! Spring! It’s really here! To celebrate, Mother Nature generously gave us 50+ degrees today, with bright blue skies and a brilliant sun. If only we could keep it! We had, I hope, our last snow storm earlier last week, and most of it melted today. Tuesday: I hopped on the treadmill and did 30 minutes at 3.5PH while perusing my Twitter feed. Quite a fun exercise day! Wednesday: I had planned on a 15 minute walk, followed by my weights. But it had snowed yesterday, a nice wet heavy snow. So I spent my 15 minutes helping to clear off and around the vehicles, and shoveling an area for that short-leg beastie I call Daisy. Then I did come back in and do my weights. I hadn’t done them ina couple weeks, and my core strongly protested the next few days. I added on my first Burpees–5, with push ups. Who knew I’d be so excited to do Burpees? My knee did ache a bit on the last two, but I felt fine for the rest of day. Friday: 30 more minutes starting at 3.0MPH and working up to 3.8MPH. I also changed the incline on the treadmill to make it a bit harder. With all the hills around here, I didn’t notice the change all that much. I also have these Danskin balls, I think they probably weigh 2lbs. So I use those when I walk. Saturday: a run, a real run! I did 1 slow mile–at 4.9MPH–with a 16 minute cooldown, plus 20 minutes of yoga stretching. I figure it is time to start actually running again, so I have a plan. Plans are always good, right? Another plan is to get Daisy back in shape, so we did our first mile in the afternoon. She did love getting out there. Sunday: back to the weights. I did the 15 minute warmup, then 30 minutes of weights. I also did 5 more Burpees- I can see how much stronger my core is getting with the ease of holding my position in the push up. My knee didn’t bother me as much this time, which is marvelous. Later in the afternoon I took Daisy for another mile walk. Then I decided to hop on Christopher Robin. I brought him in, brushed him and put his bridle on. Then I got a bucket to get on. Apparently I have a lot more umph now, I almost went flying over him. Thank goodness for that heavy pony mane. He was a doll, even as I got settled on him, and seemed to enjoy the love. As some of you might have noticed, I focused on yoga last week. I truly think that yoga is one of the best cross training sports there is. It stretches out your muscles at the same time you build your core. It could work in between any other sport, and there are so many teachers and variations out there it isn’t that hard to find one you like. Monday: off. The previous week was hard on the knee again, so I thought I would let it recover a bit. Tuesday: I started with a 25 minute walk on the treadmill at 3.2MPH.I have been using 3.0MPH as a default, so I figure I need to start pushing up a bit. My yoga of choice was Candlite yoga with Sara Ivanhoe. I found this one in the good old days when Netflix had exercise videos. For some reason they wiped them all off the playlists a number of years ago. So now I have to use YouTube, although I could buy it at some point! Candlelite yoga, as promised, is very relaxing and wipes away stress. Thursday: Started again with a 20 minute walk at 3.2MPH. I find it is a great time to actually look at Twitter and read some of the articles. My Twitter feed is 40% newspapers, 40% angry Democrats and 20% funny comedians. I very rarely get to read the news articles posted, so it was nice to move beyond the headlines. Then I put a Gaim dvd in and started my yoga. And five minutes later, it stopped too. Guess I know it’s not my Crunch dvd. Time to get a new dvd player. I finished the Gaim from memory too, although I might have missed a move or too, it has been a long time since I did that one. Friday: not as much time as I hoped, so this time I chose the walk over yoga. I did 30 minutes on the treadmill and I worked up to 3.5 MPH for the last 10 minutes. Saturday: I did 20 minutes at 3.8MPH while watching my new addiction, Beast Master. Basically an international American Ninja Warrior on steroids-created by Sly Stallone. Then I did Candlelite Yoga once more. After getting hay for the horses, I spent a wonderful day wandering stores with one of my bestest friends. Sunday: After walking through all the stores on Saturday, my knee was feeling a little sad. I compounded the issue by moving all the furniture around in my library until I was satisfied. I did do a slow walk for 15 minutes at 2.5MPH, and 10 minutes of yoga to stretch. And another week ending icing my leg. But it was a great week! I am re-publishing this from Fitness magazine. They titled it Yoga for Runners, but I think there are a lot of disciplines that could use some cross training with yoga. After the accident last year, yoga was what I could do in a relatively short amount of time. I got more flexible than I ever have been, honestly. But the moment I started adding other sports–walking, weights–my muscles contracted and I lost quite a bit of bendiness. If one bikes, runs, enjoys HiTT sessions, lifts weights, whatever, they probably have tight muscles. Even if one stretches before and after a session, it is not quite the same as doing yoga to lengthen the muscles. These ten moves, done once or twice a week, can help your muscles keep an even tension. 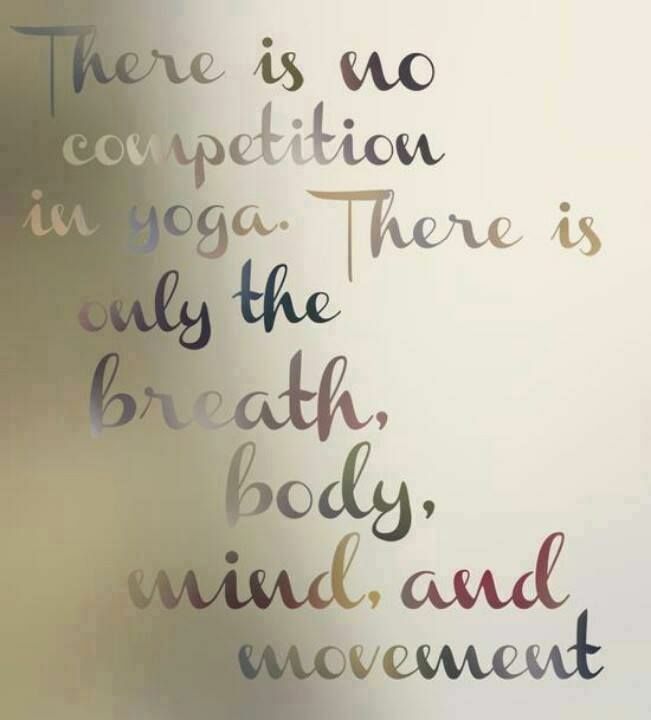 Just keep in mind, as Sara Ivanhoe (my fav yoga teacher) says, yoga is not a competition. And you are not necessarily good at yoga if you can complete the pose, it is the breathing during the pose that makes you good at yoga. Holding the pose for three deep breaths, unless it is uncomfortable, is usually a good starting point. If anything hurts, stop! Instructions: Start on hands and knees. Place your palms a handprint’s distance in front of your shoulders. Tuck your toes under and lift knees off floor. Pull your hips up and back away from your hands. Keep knees bent and focus on lengthening your torso — press down into your hands, pull up on your arms — then shift your weight onto your legs. Without losing that sense of direction or length in your torso, begin to lift thighs up as you reach your heels back and down, which will straighten your knees. Engage your quads by pulling your kneecaps up. Hold for five to 10 breaths. Lightly lower both knees back to floor. Benefits: Down Dog stretches the hamstrings and calves, and creates length in the spine. Instructions: Lie on your abdomen, facing floor. Bend your elbows and place your hands on mat in line with your lower ribs, wrists aligned under your elbows. Reach legs back and press tops of your feet down into the floor. Press down into your hands and straighten arms, pulling your chest up toward ceiling and lifting fronts of your thighs and hips away from floor. Take a few breaths, and roll back down. Modify this pose by keeping your toes tucked instead of pointed, which will help activate and lift your thighs. If your lower back feels tight, rest your knees on the mat, which will help lengthen your tailbone. arms are so much more difficult than the legs! Instructions: Stand with feet wide apart. Turn left toes in slightly and roll right thigh open to turn your right foot out 90 degrees. Align your feet on mat so that heel of your right front foot is in line with arch of your left foot. Press down into feet and pull up on your thighs. Inhale and stretch arms out to your sides at shoulder height. As you exhale, shift hips toward your left heel and simultaneously stretch torso forward toward your right foot. Place your right hand on your shin, ankle, or a stable support (like a yoga block or the seat of a chair). Take five breaths. Then press down into your feet and lift up with your thighs to come to standing. Turn your feet in to parallel. Repeat on left side. Benefits: Triangle Pose stretches the hamstrings and inner thighs. It allows you to open and expand laterally (to the side), which is a great release for runners who move solely in the sagittal (vertical) plane. Instructions: Start standing with feet together near a table or chair placed to your right. Bend your left knee and hold onto your foot with your left hand, or a belt. Lift muscles of your standing leg and contract muscles of your standing hip to support yourself. Fold forward from your hips, resting your right forearm on table or chair. Look toward right kneecap, which should be facing forward, aligned with your standing foot. Maintaining that alignment, open your left hip, lifting your left knee out to left side. For balance, you may lower your right hand to chair seat, yoga block, or floor depending on your flexibility. Hold for five breaths. Carefully release your left foot and lower it to floor, then place your hands on your hips and come up to standing. Repeat on other side. Benefits: This pose packs a one-two punch — it opens up the standing hamstring and the opposite leg’s hip flexors and quadriceps. Take as much support as you need so that you can breathe normally without any strain. Instructions: Sitting on floor, bend your knees and touch soles of your feet together. Start by placing your hands behind you for support, lengthening your spine up toward ceiling. If your knees are high off floor, or if you feel like your tailbone is being pulled underneath you, try sitting on a folded blanket. Think about spreading your inner thighs open toward inner knees, and imagine drawing outer knees toward outer hips. Place your hands on your ankles and hinge forward over your feet. Hold for five to 10 breaths. Come back up to sitting and use your hands to close your knees together. Instructions: Start with knees together, feet just outside of your hips. Sit down between your feet with soles of your feet facing the ceiling. (You may need to sit on a block or a folded blanket.) Press feet down and release 10 times. Add Eagle Arms by wrapping your arms around each other (double wrap if you can). Lift elbows toward ceiling and move wrists away from nose, squeeze and release your arms. Benefits: Hero Pose will stretch the tops of your shins and feet, which can get tight from running, and get your blood flowing in your legs. Eagle Arms will give you a good arm stretch and relieve tension in your neck and shoulders. Instructions: Lie on your back and your put right foot in a yoga strap (use the tie to a robe or a towel if you don’t have one). Keep your left leg on the floor and raise the right leg with foot in strap. Walk your arms up strap until arms are straight, then pull arms back into their sockets to gently stretch (not yank!) your right leg. Repeat with left leg in strap. Benefits: This will open your hamstrings and calves without straining your lower back. Instructions: Sitting, bring your feet together and spread knees wide. Sit your hips as close to your heels as possible. Prop up your knees with blocks or folded blankets, then lie down on your back. Benefits: This pose opens the hips and releases tight adductors while also releasing tension. Be sure to prop knees up, so your adductors can release rather than overstretch. nope, never tried this one either! Instructions: Lie down with your back and hips on floor and legs propped up on wall. Bring your hips as close to wall as possible. Spread your legs as wide as is comfortable against the wall and lift your arms over your head to rest on floor, holding opposite elbows. Benefits: This pose is a more intense adductor and hamstring stretch that relieves tension without taxing your lower back. Instructions: Place a chair at the top of your mat. Sit on mat with both legs straight out in front of you. Fold left leg, bringing foot as close to your body as you can while opening your knee out. Fold your body forward over your straight right leg. Rest your forehead on chair, resting your arms over the chair. Benefits: This pose releases the entire back of your leg and also relaxes the entire body. Take a few deep breaths to calm your nervous system. I have dug out all my yoga dvds again, finally. I have been doing yoga from memory for the last year, as there are moves on all the sessions that my knee couldn’t do. Sometimes I did the session as the dvd did, but more often I strung moves together depending on how I felt that particular day. Having been doing yoga for over 15 years now, I have a strong understanding of the difference and reason for doing strength versus stretch-y moves. So I felt that I was able to tailor my poses to what my body needed. Some days I had a plan-Forward Bend to Wide Leg Down Dog to Warrior I Pose to Tree, etc. Other days I’d come out of Warrior and think, hey, let’s do Plank here, with, maybe, Scale after? Now I bet that you are all thinking, so why did you need the dvds again? The joy of my dvd sessions is that there is a voice reminding me of all the little techniques that I sometimes forget. When we do Sun Salutation and I reach my arms up with my palms meeting, I am terrible at pressing them together. I mean, they’re touching, isn’t that enough? I need that little voice to remind me. And sometimes I don’t hold the poses long enough. With a dvd, that is no longer a problem. I also modified quite of few of my poses to compensate for my knee. So I am not doing them all “technically” correct. When I started yoga last spring again, my knee didn’t bend at all. I think it was mid-summer before I could do any Warrior pose. It was fall before any of the Warriors were fun. My Tree started with my foot at my ankle-it has now progressed up to just under my knee. It helps to have the instructor pointing out ways to make the poses better to regain my proficiency. Lastly, it is fun to not have to worry about my next move. The instructor tells us when to do each pose, how long to hold it and what to do next. 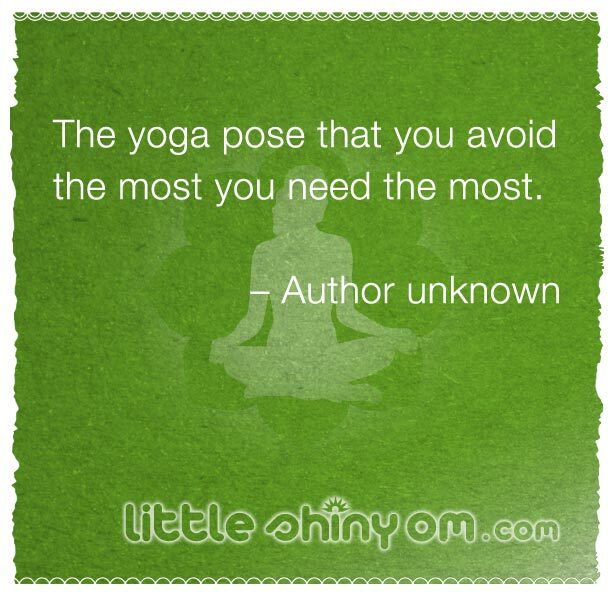 That lets us fall into the mindlessness of yoga. To simply enjoy the muscles, the twist, the breath. I love yoga with my eyes closed. I had to pick a new way of logging my week’s activities. I had a Runner’s Journal and finally ran (haha) out of it. If I just go by my activity tracker, I tend to forget details of my exercise, and what made it excellent or awful by the time of writing. So I did a week or two where I put notes in my activity tracker–it does have a spot for this, I just never needed to use it. You know those two weeks I was behind? Yup, those be the ones. I decided to go old school and grabbed a notebook–a very pretty notebook, of course. I can make each page a week, put a goal for each day and a spot for notes down at the bottom. What can I say? I’d rather write than use that little bitty keypad on my phone! I also like seeing my week at a glance and having the ability to plan out my week ahead of time. Monday: 25 minutes of yoga. I did mostly stretching, with a few strength poses mixed in. Tuesday: Fab run on the treadmill- a 9.54 mile with a top speed of 6.5MPH. That would make this my first sub-ten minute since my accident! And definitely the fast I have gone on the treadmill, as my last treadmill only went up to 6.0 MPH. I followed up with 26 minutes of weight. I did 3×15 of my arm, leg and core exercises, finishing up with some stretches. Wednesday: I had planned a 30 minute walk on the treadmill. Due to time constraints (read: Sam may have overslept), I only did an easy 20 minutes at 3.0 MPH. Thursday: I planned to take it off, and I did! Friday: another yoga day. 25 minutes of a mix of strength and stretching. Saturday: I had planned another mile on the treadmill, with more yoga to follow. I took the day off for two reasons. One, my leg was not happy with me. Two, I had put off calling a prescrip and when I finally did Saturday morning, it was to find out that it was expired. I’d taken the last one on Tuesday–it wasn’t a big dose, or necessary for my continued health. However, I had been on it for years, so my body was sadly noticing the difference. I will say, the worst part was that coffee was not such a good thing to be drinking. Bah! Sunday: feeling better, I had a very active day. Started with washing the dishes, getting groceries, walking on the treadmill for 39 minutes, yoga for 35 minutes, and rearranging the library (where I keep the treadmill). By the time I fed the horses dinner, my leg was done. I had to ice the knee for the first time in months. Perhaps I need to slow down? Nah!